Mueskes Landscape and Snow Management will help reduce risk and keep properties safe with proactive ice removal and de-icing services. Ice is a major hazard and liability for any business. 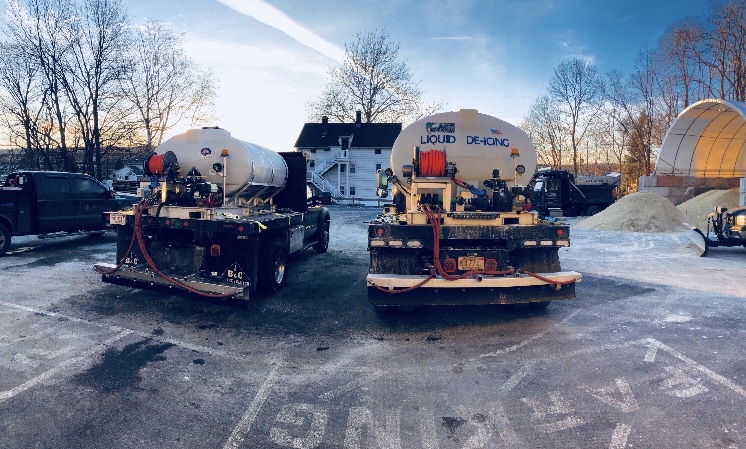 That’s why Mueskes Landscape and Snow Management uses liquid deicing and practices zero-tolerance for ice build-up in addition to our other commercial snow management services. We deploy the latest technology and industry-leading techniques to ensure safe surfaces for your customer, employees and visitors. 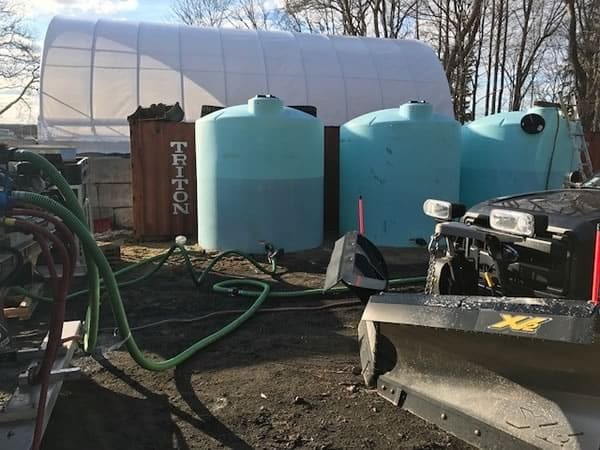 We were one of the first companies in MA to use liquid salt brine. 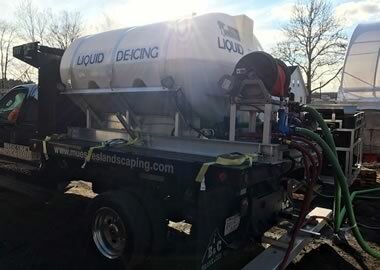 Liquid salt brine can be applied as a pre-treatment days prior to a storm event. It works to lower the freezing point of snow and ice, preventing the initial snow and ice accumulation. 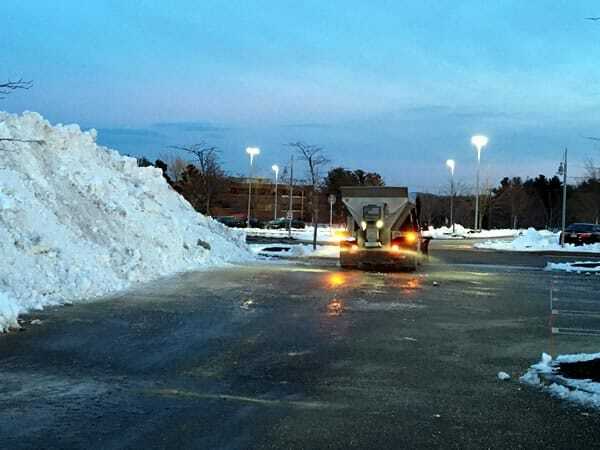 It is a powerful solution for ice management that reduces costs because it reduces the amount of salting needed during a storm, plus it doesn’t bounce off roadways like rock salt so there is less cleanup in the Spring. We also stock our own dry supply of sand, rock salt and ice melt products. Ice management is a priority and we always have material on hand to keep your property safe. Our sidewalk crews use mechanical spreaders to ensure efficient application of materials. 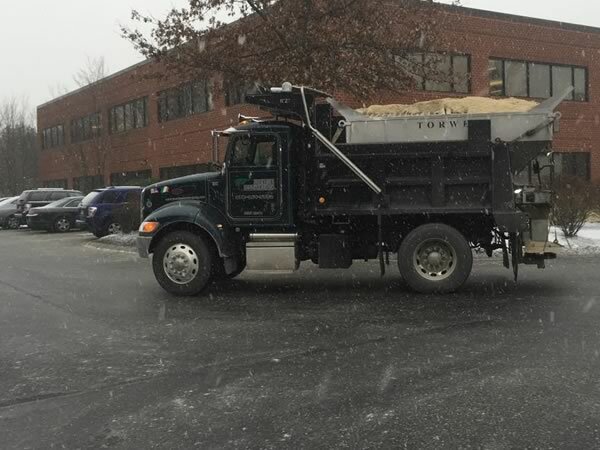 Salt trucks are monitored by GPS, showing exactly where the crew applied materials. These records help to reduce liability and provide full transparency.